Does Superstition Have A Place In Gambling? - Casino Answers! Casino Answers » Casino Beginner Questions » Does Superstition Have A Place In Gambling? Does Superstition Have A Place In Gambling? We can all agree that luck plays a major part in gambling. Yes, we can play perfect blackjack strategy, but the dealer could still pull out blackjack after blackjack and beat us. The ball might take a good bounce at the roulette wheel and land in our number, or it might bounce out of our number at the last minute. We might go on a hot run, or we might suffer a cold run. At the end of the day, luck is the decisive factor on whether we win or lose. People believe they can change this by having having lucky charms to ensure the don’t suffer a cold run. You’ll have seen this at the casino where people might have traditional charms such as a rabbit’s foot, or a horseshoe on their person, or maybe something a bit more personal, like the photograph of a loved one, a lucky gem/rock/fossil. People also have gambling superstitions that they believe will either be lucky or prevent bad luck from happening at the table. This could be before they start gambling, or while they’re gambling. For example, they might put their left leg into their trousers first, as they perceive it to be lucky, or they might always kiss their partner before gambling. Likewise, at the table, there are superstitions galore. 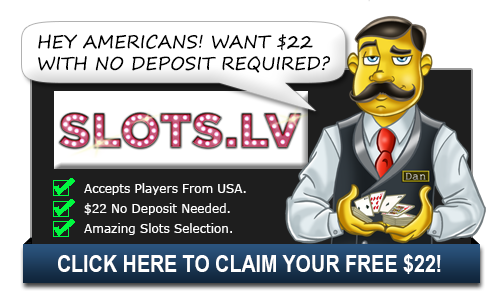 It’s “unlucky” to say, “seven” at the craps table, or betting against the shooter at craps is also unlucky. Asian players are even more superstitious than their Western counterparts. In Chinese gambling culture, it’s unlucky to count your money during a gambling session and if you see a nun or a monk before you start gambling, you’re really out of luck, apparently! However, if you wear red underclothes, that’s a good thing and the number 8 is incredibly lucky. So, do they work? Are superstitions and lucky charms an important part of gambling? Will they help you win? Well…probably not. In fact, definitely not. Lucky charms and superstitions are nonsense and can hinder you when gambling more than help you win. You’re playing roulette and you bet black. You have your lucky rabbit’s foot, you have your four-leaf clover and you’ve made sure you’ve kissed your wife before you started gambling three times. However, someone else at the table has bet red. This person has a horseshoe tattoo, they’re wearing red socks and briefs and they’ve said all their relevant chants and whatnot. Well, only one of you can win, right? Or both of you could lose, of course. Let’s say your bets never deviate from this and you keep doing the same things. By the end of it, you’ll both, in theory, have lost. Gambling lucky charms and superstitions tend to come from gamblers having a selective memory. How many big wins do you remember? I remember an awful lot of wins, because the feeling was so good when I stuck it to the casino. How many losses do you remember, regardless of size? I don’t remember many losses. It’s as simple as that. You have a great session when you’re wearing a specific pair of pants and you remember that you were wearing them the last time you had a winning session, so you wear them again. You probably don’t remember what you were wearing when you ended up being $2 overall, or what you had for dinner that time you had a $100 losing session, but you remember that your significant other rubbed your belly before you won that slot jackpot. But here’s the thing, while some can be harmless fun, others can serious hinder you gambling enjoyment. The simple way of looking at it is having a lucky slot machine. If you only ever play one slot machine because you hit a big win on it, won’t it get boring? Online casinos have a hell of a lot of slot machines and most of them offer something different to the other ones and because you think you always win on one machine, you’re missing out on more fun and, at the end of the day, that’s one of the main reasons we gamble – we do it because it’s fun. Or maybe you think red headed dealers are unlucky (I have no idea why you would, but let’s run with the idea), so you wait until the gorgeous red head stops dealing before you sit down. But during this time, you’ve missed a great shoe of cards for the players and you missed out because that red-headed ex of yours. So, by all means, have your lucky charms at your side when you’re gambling. They won’t change a thing in terms of what happens, but they’re fun and they’re doing no harm (well, unless you decide to throw your lucky stone at your computer screen). However, don’t go out and buy things people tell you will change your luck, don’t go waste money on things like this. Instead, use that money to have fun with at the tables. And as for superstitions, stop them, as they could be costing you a fortune. Superstitions really have a place in gambling other than to just have a bit of fun. There are quite a few superstitions related to Craps. For more information, read our Craps Superstitions article. What can I do for good luck at a casino? What brings you bad luck at a casino? Is there such a thing as good luck at a casino? Is there such a thing as bad luck at a casino? How can I be lucky at a casino?